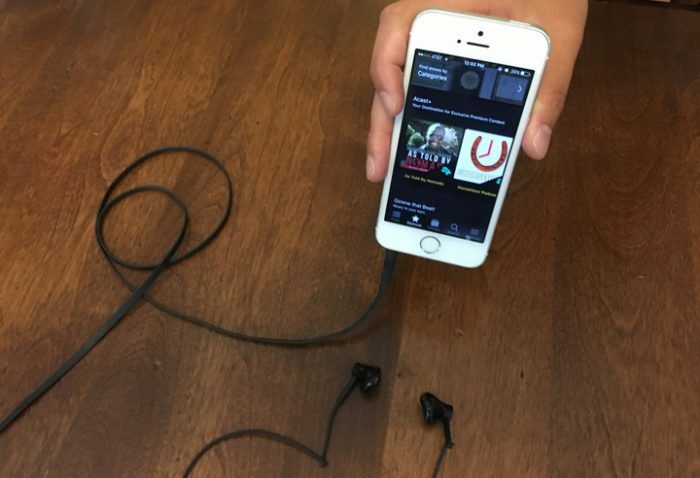 June 24, 2016, 9:57 a.m.
With a new paid subscription option and its sights set on non English-speaking countries, the Swedish podcasting startup is looking for listeners (and shows) beyond the iTunes set. By Shan Wang @shansquared June 24, 2016, 9:57 a.m.
Acast resists the term “paywall.” The Stockholm-based podcasting startup, which entered the U.S. last fall and is the hosting platform of choice for publishers like BuzzFeed and the Financial Times, launched a paid subscription option at the end of last month. 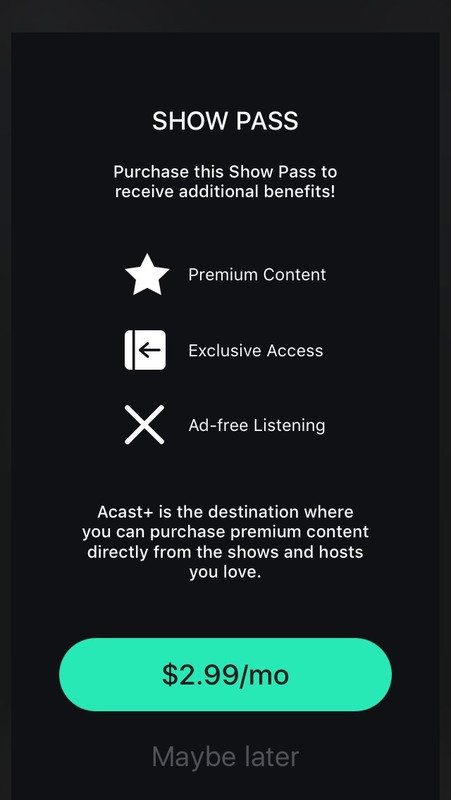 Through Acast+, creators can set a price for shows and sell ad-free subscriptions to listeners (Acast gets a cut of that revenue). The paid option was always going to be part of the business model of the company at some point, according to the company’s founders Karl Rosander and Måns Ulvestam, but don’t call it a paywall. 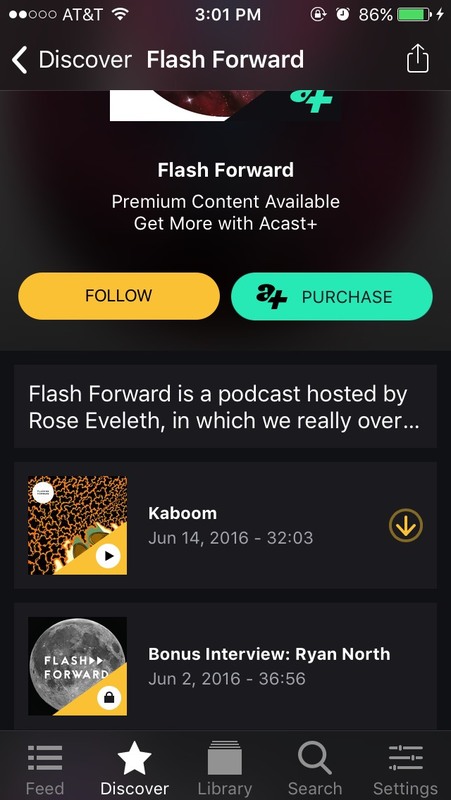 The show Flash Forward by Rose Eveleth, for instance, is among the first shows available with bonus material through Acast+. Eveleth’s shows are available elsewhere, too (on iTunes for one), but there’s more available to fans willing to pay a little. This subscription model is good for accommodating material from people who have a large following for their already well-established podcast, but might want to work on a spin-off separate from their regular productions. In that case, a few thousand people paying $2 or $3 could be enough to get that project off the ground, Caitlin Thompson, Acast’s director of content, told me. — 49 percent of Acast listeners do not listen to commercial radio. — 48 percent of Acast listeners listen to at least two hours of podcasts per day (U.S. average: 1.5 hours/day). — 80 percent of Acast listeners listen to at least three different titles per week. Thompson highlights shows like Hard Pass and BuzzFeed’s Another Round (which Acast distributes) as shows that break with expected podcast formats and attract new audiences. Another Round is experimenting with a social audio app for voice memo calls and has a Slack channel that includes people who’ve never listened to to the show, Thompson pointed out (“Another Round has singlehandedly done more to invite new audiences into the podcast door than many others — maybe even Serial”). Hard Pass is a six-minute “lunchtime snack” of news updates, designed to be “listened to on the internet,” for which RSS isn’t in the top 30 in terms of referral traffic. The show has an audience in the “five digits” each week, according to Thompson, with traffic coming in largely through Twitter and players embedded on the web and in other social channels. “We’re basically a Bravo in a sea of CBSes and Foxes — which is not to say I don’t want us to be as big as CBS and Fox,” she said. 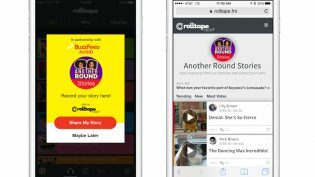 At the moment, Acast is building up its presence in English-speaking countries — it already hosts the bulk of the British podcast market, and in addition to early U.S. adopters like BuzzFeed, is working with outlets like Bustle, SheKnows Media, the Huffington Post, “and a few others in the pipeline that we hope to announce soon.” It also has its sights set on several new markets. Acast has also worked with the Interactive Advertising Bureau in Sweden to create independent, common measurement standards for the country’s podcasting industry (what constitutes a download, for instance, and using a combination of IP address and user agent to count unique downloads). The work is based in part on recent guidelines released by public radio staffers here in the U.S. Acast is hoping that similar common standards will be introduced (and embraced by media companies) in the U.S. as well (“I know IAB is working on it; our Sara van Mosel is on the committee,” Ulvestam said). Photo of the Acast app in use by Joseph Lichterman. Arranged by Taylyn Washington-Harmon. POSTED June 24, 2016, 9:57 a.m.
Wang, Shan. "Acast wants to get new audiences “in the podcast door” with more diverse shows and better data." Nieman Journalism Lab. Nieman Foundation for Journalism at Harvard, 24 Jun. 2016. Web. 19 Apr. 2019. Wang, Shan. "Acast wants to get new audiences “in the podcast door” with more diverse shows and better data." Nieman Journalism Lab. Last modified June 24, 2016. 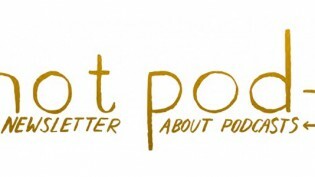 Accessed April 19, 2019. https://www.niemanlab.org/2016/06/acast-wants-to-get-new-audiences-in-the-podcast-door-with-more-diverse-shows-and-better-data/.